If you live in Montgomery, AL and need automotive care, let Chappell Tire Services help. We proudly serve Montgomery, Wetumpka, Prattville, Tallassee, Hope Hull, Millbrook, and surrounding areas with auto repairs. Our ASE-certified technicians can diagnose and repair a variety of automotive problems. Trust in the quality work we provide, the value we offer, and the experience that has made us one of the top auto repair shops in Montgomery since we opened in 1999. When it comes to preventative maintenance, you can rely on our team to deliver oil changes, filter changes, tire rotations, and other routine repairs. We also do brakes, engine tune ups, complex work on vehicle electrical systems and climate control systems, and much, much more. 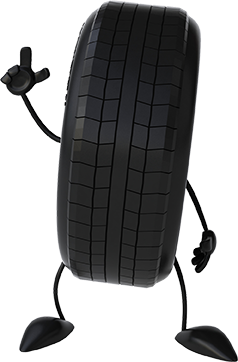 No matter what you need for your vehicle, you can choose Chappell Tire Services for your automotive needs. After all, we do so much more than tires. From alignments and fleet services to roadside assistance, we’ll ensure you have what you need to make your vehicle last. Call us today to schedule service or book your appointment with us online. We look forward to serving your automotive needs soon!